Designing interfaces and apps for kids is not just a matter of simplification or making the buttons bigger – it requires us to consider interaction models and user experience from the child’s perspective. Children are curious, inquisitive and love to explore. They will touch and interact with everything on screen, searching to discover content interactions within the interface. I’ve been observing my kids using tablets and other touch devices. Children interact with content primarily with taps, finger drawing or tracing, drag and swipe. Tap is the most intuitive and natural interaction gesture that children use. Pointing is the one of the first ways in which children communicate with the world around them to show their caregivers what they want. Tap is simply pointing on the UI surface. The child wants something, the child points by tapping the interface. Designing for children requires the interface to be reactive to their input style. For interactions consider using onPress events rather than onRelease events. A child’s natural gesture is to tap and hold, rather than tap and release. Avoid using double tap. Think about the immediacy of the interaction. The use of a double tap (tap-tap) is a learned interaction. A child’s focused interaction is tap (hold, release), tap (hold, release). If it looks like a button, it had better be a button. Children will expect something to happen with every tap or button press. If nothing happens, children will press harder, or will use other inputs such as toys, to press what they think is a button and possibly crack the screen. A friend of mine told me a story about his daughter using an app that had a piano keyboard as part of the UI. The piano keyboard was part of the decorative design and was non-functional. The little girl stood on the tablet, using her feet and body weight trying to get the piano to play a note. One of the major problems for children is not exploration or interaction but ending the engagement with the interface by accidentally removing themselves from the experience. This often happens through accidental navigation or presenting the child with modal (pop-up) windows that takes them away from the current app or site. Whether this is in the form of clickable banner ads, “rate this app” or “do you wish to continue” modal windows. Swipe gestures that move the child to a different section should also be avoided, unless the child is prompted by the application. Toca Tea Party uses a simple text link to prevent accidental access. Once pressed, the user is presented with a modal window with a set of specific text instructions to continue. 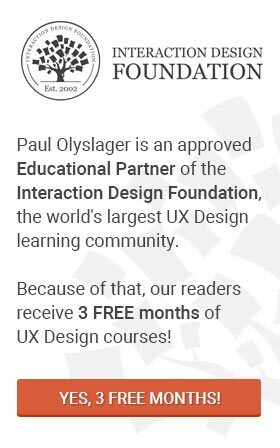 For a child, the modal window is a break in the flow, and the large “X”, which is presented as something to press or touch, brings back the child to the main screen. Design with little readable text. Assume the child cannot read or requires assistance with instructions. The children’s section of the Netflix website is a great example of navigation designed with children in mind and actions that require little parental help. In the Just for Kids section, the primary navigation is by means of characters from the various video titles. A child can recognize a favorite cartoon character, tap or press the character and is taken to all the videos from that particular character or program. 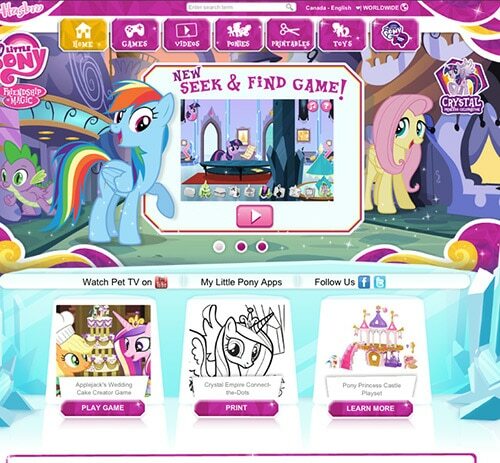 Another example is the My Little Pony website, where sections are navigated with arrows and character images. Game style interaction that encourages children to try again will ensure engagement and replay value. Hints to the next steps will keep children focused on task and prevent them from becoming frustrated with a non-responsive interface or lack of progression. Provide children a simple way of repeating actions. Whether it is being able to press or tap a button over and over again, or replay a video. Repetition adds to the child’s learning experience and exploration. Removing repetition truncates the child’s interactive experience and will ultimately result in a poor user experience and limit the replay value of the app or site. Replay value is important but so is planning for child tapping a button over and over again. A button that plays a sound may be tapped several times, causing the sound to play over itself. For apps, keep the sound loop short or limit its replay until the original interaction of playing the sound has stopped. The ABC Expedition by MeldMedia uses a simple stop/start sound management on tap and encourages repetition by changing the sounds played randomly after a couple of button presses. Say yes to multi-touch and collaborative interaction. Multi-touch creates a more forgiving interface as children may hold the device differently due to the relative size of the device to their hands. Multiple fingers way find their way onto the interface as part of the child’s way finding and exploration. Disney’s Where’s My Water? allows a child to use one finger to mark a starting point and another to draw to an end point. 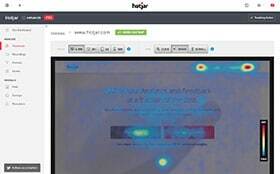 Lack of multi-touch can lead to frustration as the interface becomes non-responsive to inputs. Children seldom interact with an interface alone. Allowing for multi-touch proves an opportunity of collaborative play. Say no to accelerometer use as part of the interaction with the UI and app. Tablets can often be heavy for small hands and kids have a tendency to drop things. Requiring the device to be tilted or turned can lead to an unwanted (expensive) accident. Keep interactions limited to gestures. Gestures can translate well from touch devices to the desktop with proper planning and implementation. Daughter playing with a tablet. Designing and building user interfaces and user experiences is more than just simplifying and making buttons bigger. The way children explore and interact with interfaces requires us to think about the various affordances that are necessary for them to have a positive user experience. Treat press as tap; plan for both (good and not so good) repetition behaviours; and use simple navigations for children and more advanced UI navigation elements as a means of parental control. Andrew Smyk is dad, educator & UX designer with a focus on Mobile Design, a speaker, a coffee aficionado, avid cyclist, all-round pirate and HTML5 Evangelist. He coordinates a post graduate program in Interactive Multimedia at Sheridan College and writes about how kids adapt and use technology on his blog. Follow him on Twitter @andrewsmyk or Google+. View other posts by Andrew Smyk.